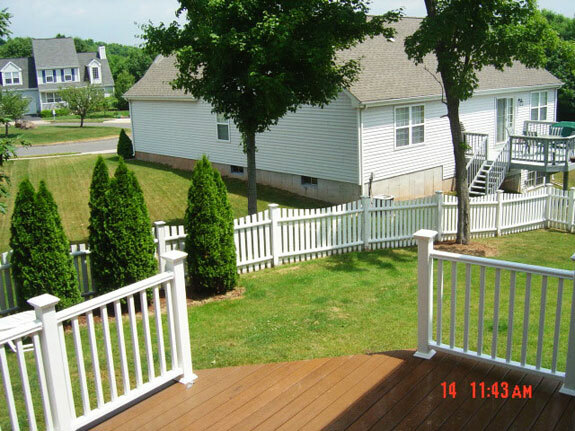 So you move into your nice and new colonial on a quiet street and notice that there's no deck to be found below your patio slider. 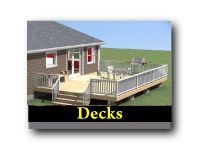 Step one, you go on the internet and Google a local "Deck Builder". Step two you get a few estimates and pick the creme dela creme to start your project. 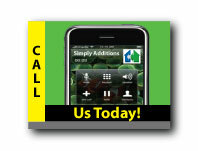 That's what happened when customers from our former research and development company Simply Additions LLC called us. 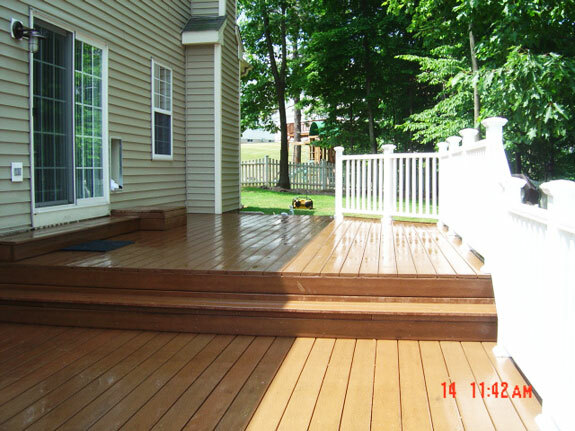 They had a nice Colonial home in need of a large entertaining composite deck. 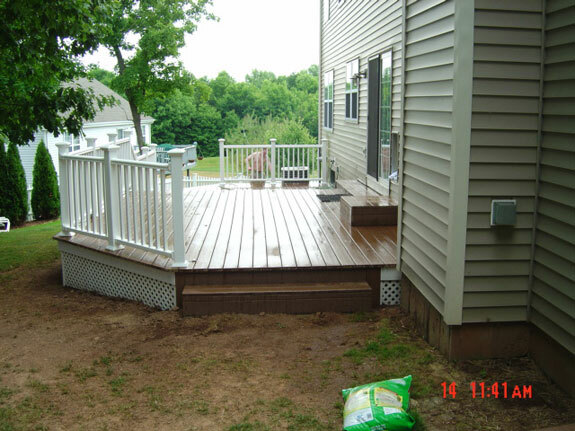 They specifically chose a composite deck because of the low maintenance requirements. 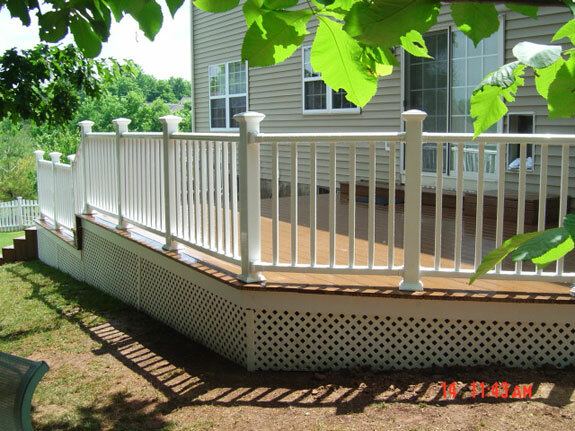 After meeting with them we designed a multi-level Trex deck addition with a white vinyl railing. 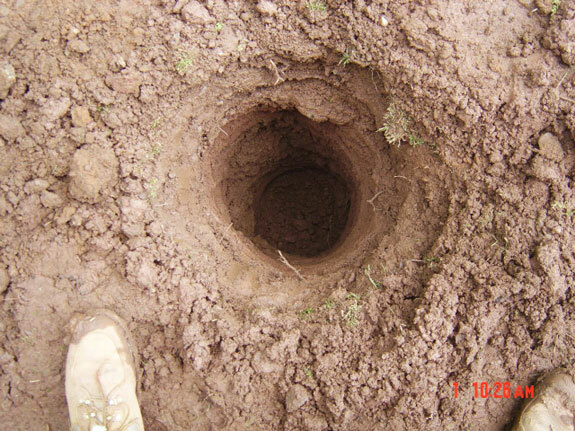 Their backyard had many huge bolders below ground level, but we were successful in digging all the footings regardless. 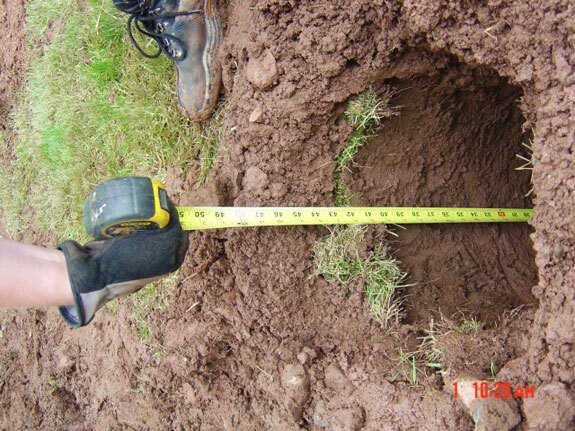 The town required a 48" depth for each footing, it took some time but eventually we broke through all the rocks and passed our footing inspection. With the framing done we laid the building materials accross the structure to visualize the final product. 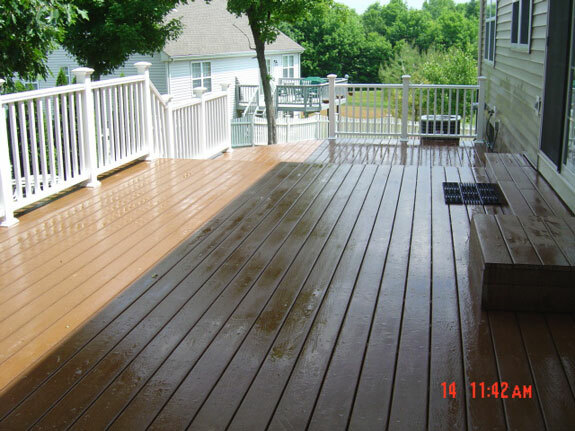 Now the deck has been completed, we wet it down to clean off any dirt and debris. The box structure on the right is a landing for the dog, from his doggy door. Here you can see the doggy door on the right side of the slider. Our customers wanted to make sure that their dog has easy access into and out of the home. 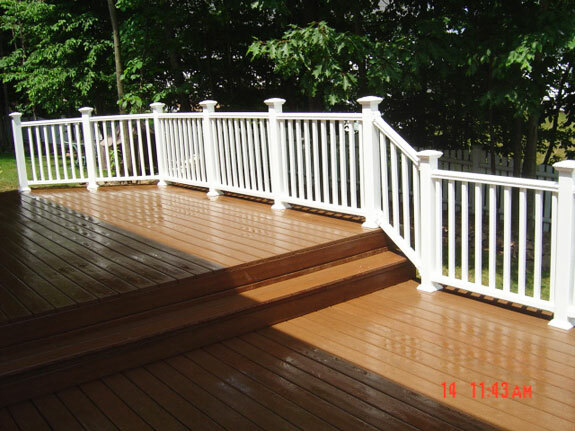 The white vinyl ralings against the tan trex decking looked really sharp. 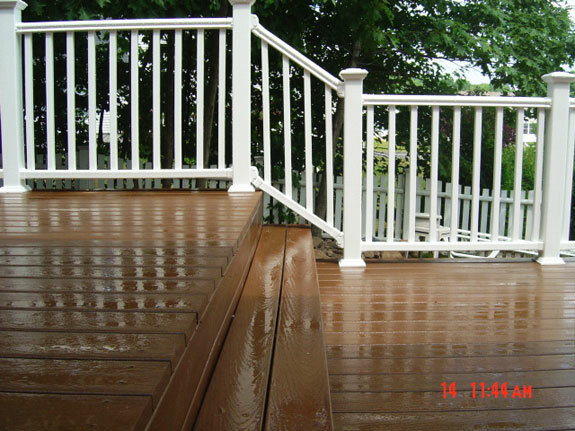 The nice diagonal cuts in the decks layout gave the deck more character. The large wide steps just scream "Come on up!" 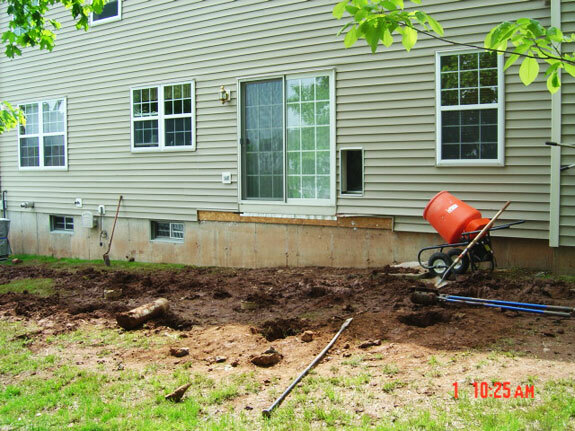 "I called a few contractors and was most impressed with Simply Additions. 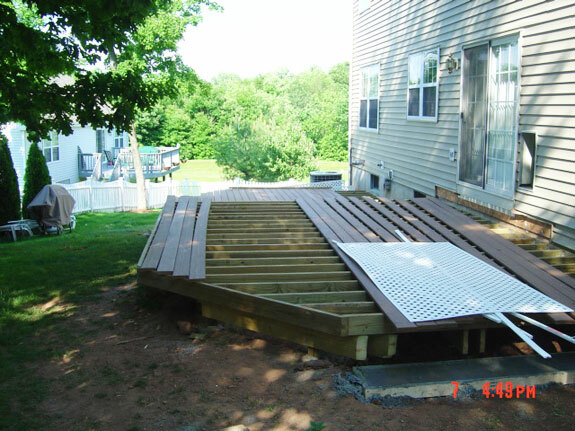 During the construction process not only were they professional, but also extremely dependable, knowledgeable, and courteous. The finished product was better than I ever could have imagined. 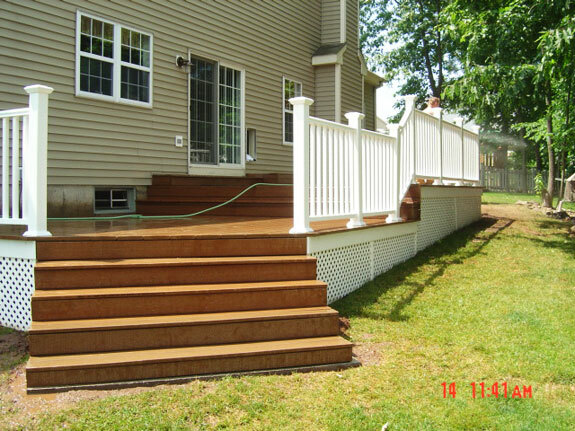 Simply Additions' work is far superior to others in the industry and I strongly recommend this company to anyone thinking of a remodeling project!"